The office Lunetto Architekten was founded in 1993 by Eva-Maria Lunetto and Jörg Fischer. 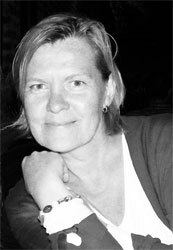 Since Jörg Fischer left the office in 2006 Eva-Maria Lunetto heads the office with an average of five employees. The office is equipped with all current software applications, for the planning process AutoCAD Architecture is being applied. 1986 - 1987 Pratt Institute New York, Bachelor of Architecture m.c.l.